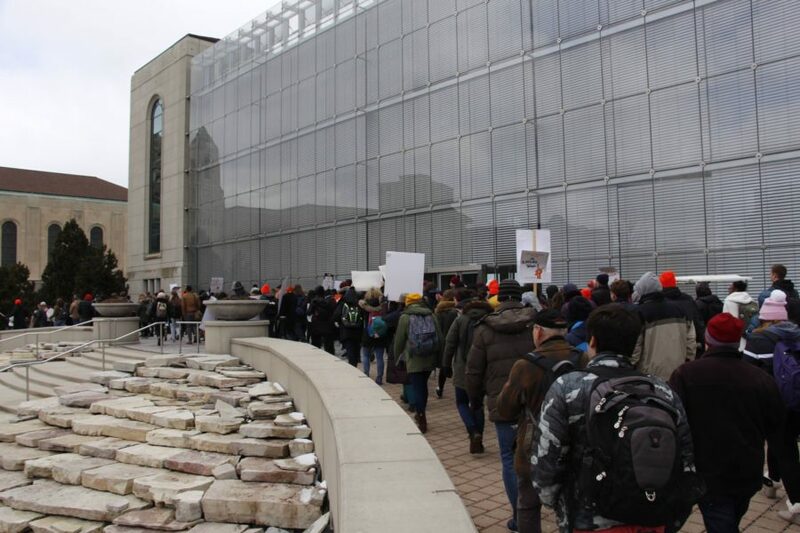 Almudena Rincón | The PHOENIX Demonstrators filled Loyola’s Lake Shore Campus April 4 to protest what they said was the university’s slow negotiation as non-tenure track faculty attempted to work out a deal with administrators. Loyola’s graduate student union — about 200 graduate workers who assist with teaching classes, grading papers and preparing lectures in the College of Arts and Sciences — has been fighting for better treatment from the Loyola administration for two years. The union has gotten some concessions from the school. It’s done this through demonstrations, such as public grade-ins in the Damen Student Center or a recent rally in front of the East Quad. Grad workers are now allowed to work a second job. They’ve gotten a stipend raise. They’ve gotten dental insurance coverage along with other concessions. But the strides they’ve made aren’t guaranteed. Without recognition, and the union contract that could result from it, none of those add-ons are permanent. Loyola could take them away arbitrarily if there was ever a reason to cut costs, the union argues. So far, the group has only gained union recognition from the National Labor Relations Board. Last spring, we watched as the university finally gave in to the demands of the non-tenure track (NTT) faculty union after two years of negotiations and a one-day strike in April 2018. The NTT faculty union got the recognition it so desperately desired not through the two years of negotiations, but through its strike. Now, it’s time for grad workers to do the same. Yes, the NTT strike was just a one-day demonstration, but it worked. Media covered it and interviewed professors. The story became, a question of how, in the midst of March Madness fever, Loyola could still act cheap toward its part-time professors? It couldn’t; it’s no coincidence just two weeks after the one-day strike, the NTT faculty came to an agreement with the university. While there are key differences between the NTT faculty and the graduate student union, the two have similarities and have told The Phoenix they work together and support each other’s causes when they can. The grad students could learn from the NTT faculty and employ the only tactic that was proven to put enough pressure on the university to reach a contract agreement. The university has made its views known about the graduate students. Yes, the union has gotten some of what it’s been asking for, but Loyola has made it clear it doesn’t take them seriously. 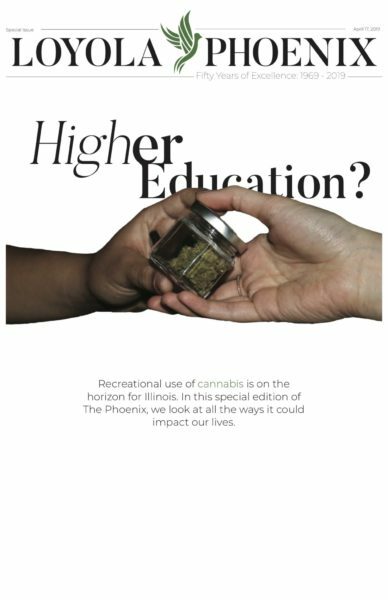 “They are students in every sense of the word,” university spokesperson Evangeline Politis has said in multiple statements to The Phoenix over the last two years. Colleges and universities across the country are dealing with similar issues as graduate student workers and NTT faculty aim to get better funding and benefits from their employers. Closer to Loyola, graduate workers at the University of Illinois at Chicago (UIC) went on strike last month in order to put pressure on the school after more than a year of negotiations. They’re still on strike. Graduate students at Georgetown University — another Jesuit institution — voted to unionize in 2018 and have been working to negotiate with administrators ever since. Loyola has also turned to Catholic Social Teaching as a defense for not recognizing unions. But it went back on that and recognized the NTT faculty union — due, in part, to the response from the local media. Why hasn’t the university given in when it comes to the graduate union? Graduate workers haven’t gone on strike. 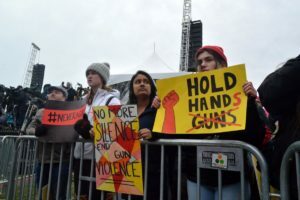 The Loyola grad union’s recent rally March 21 would’ve been an ideal opportunity to announce such a strike, since it happened the same week the UIC workers walked out. But when asked, organizers said it was just another call for the university to come to the bargaining table. Spoiler alert: they aren’t coming. If Loyola grad students want to lead by example for their counterparts across the country, they’ll have to practice tactics that’ve been proven to get results. Through a strike, the graduate student workers could show the university it can’t function without them. While intermittent demonstrations and presence on social media have helped the union gain some traction, those strategies can only go so far. A strike would help Loyola grad students grab the attention of undergraduate students, who could potentially pressure Loyola to recognize the group as a union. Unless grad students are noticeably missing from their regular posts helping in the classroom, undergrads likely won’t catch on to their cause and the university won’t take them seriously. Grad students can settle for a few of the add-ons they asked for. They can continue to rely on demonstrations if they so please. But the university will continue to roll its eyes. It’s time for grad students to take action. Until they do, their futures will still be in flux. They’ll continue to shout into the void in the hopes that the university will give them full recognition. If they want results, they have to move beyond weekly tweets. There’s a reason strikes tend to get things done. recovering from the mistakes after which keeping certainly afterward. Have a look below for some important in order to keep objective when recognize that you have made an misstep. shouldn’t bother you that where did they have designed their menu as it won’t feed your company. next time totally . go out side for your meal you may this fundamentally. In the end, fewer you can make for is tell yourself before you approach a girl, “I dont’ care what she thinks; I’ve a good opinion of myself” you’re worlds above. You say one thing and show one particular more. What good for one neighborhood is good to the the other. that some O God, the father. fear of height etc and fear of public speaking is also one types. and xerostomia when they’re about to begin their address. to shake. Stuttering or increased rate of speech furthermore possible. later they calm down whereas; others may go through the ordeal for extra. Yes. It made understanding. And it was really simple. this point. It was taking my focus away from what Make wanted you should do – design and implement my own workshops. planning and serious about. All at once everything fell into web site. We often more prepared stay miserable than to do everything into the unknown. You can say a lot from an excellent car parts store for San Diego cars display looking in internet marketing. tick nice cars or clunkers? Does workers answer your queries knowledgeably and helpfully? are a member of the greater Business Bureau or region Chamber of Commerce, too. Do they guarantee their repairs? Always be the mechanics all certified? long it usually requires for the SEO cowboys to learn though.